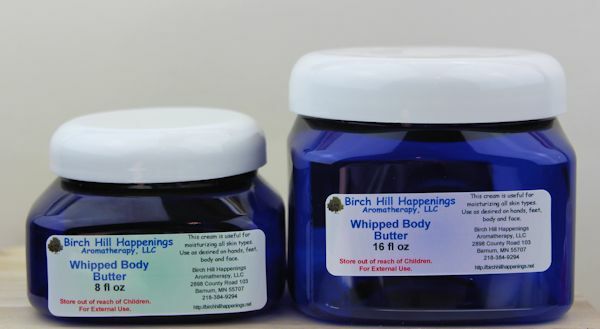 Whipped Body Butter - Frosting Peak! A plant based light and fluffy luxurious butter to use on the face, hands, arms, legs and feet. It is a royal Body Cream that leaves a thin protective layer to help preserve moisture in your skin with no greasy residue. This cream is quickly absorbed and smooths on easily. It is good to use for an all over hand, face and body cream. It helps keep skin soft and supple. It is not tested on animals, is soy free, gluten free, alcohol free, paraben free, hypo-allergenic formulated, formaldehyde free, non-gmo, mineral oil free. It uses minimal preservatives to keep it effective against molds, yeast & bacteria. Ingredients: Deionized Water, Carthamus tinctorius (Safflower) Seed Oil, Glycerin, Butylene Glycol,Stearic Acid, Glyceryl Stearate, PEG-100 Stearate, Cetyl Alcohol, Dimethicone, Allantoin,Panthenol (Pro-Vitamin B5), Aloe barbadensis (Aloe Vera) Leaf Juice, Calendulaofficinalis Flower Extract, Chamomilla Recutita (Chamomile) Flower Extract, Cucumissativus (Cucumber) Fruit Extract, Lavandula angustufolia (Lavender) Extract, DL AlphaTocopheryl Acetate (Vitamin E Acetate), Retinyl Palmitate (Vitamin APalmitate),Tetrahexyldecyl Ascorbate (Vitamin C), Carbomer, Triethanolamine, Phenoxyethanol, Caprylyl Glycol, Ethylhexylglycerin, Hexylene Glycol. Remember some ingredients will cause an inherent odor. It can be used alone or add your favorite essential oils. 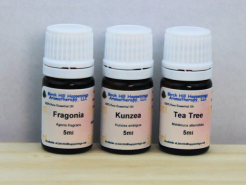 You can add up to 1-3% essential oil or fragrance to scent. 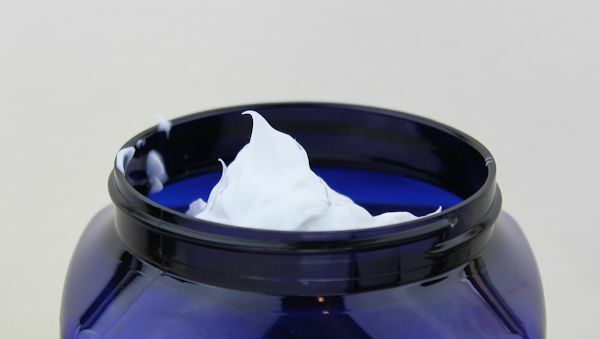 This would be approximately 12-36 drops per 2 ounces of Body Butter Cream. Best to start by adding only 8-10 drops mix well and see if you feel the scent is acceptible. I absolutely LOVE this stuff!! Thus far, this is my very favorite thing from Birch Hill. It is light, goes on so smoothly, and doesn't leave my skin greasy. And yet it is very moisturizing. I also like using it for my pain rubs. I use it without any essential oils since I have very sensitive skin. If you are concerned about the inherent "odor" mentioned, I detect very little, if any odor. I highly recommend this product.